Think tortillas cant be healthy? Think again. Check out these high-fiber, low-fat, and low-carb tortillas from La Tortilla Factory and let the wrapping start. Mexican food doesnt have a great reputation as a health food. Mounds of cheese, heaps of sour cream, and deep fried tortillas may taste great, but aside from cheat days, they are usually off-limits to people who are trying to stay fit. Believe it or not, it ispossible to have your Mexican food and eat it too provided you know how to make some smart substitutions for some of the more fat or calorie-laden ingredients that make up your traditional Mexican fare. Over the next couple of Fitness Food posts, well take a look at some ingredients you can use to create guilt-free Mexican meals that taste fantastic. Since the specific products may not always be available at your local grocery, Ill try to provide some commonly-available subsitutions whenever possible. So lets start with your typical soft taco or burrito. Its all about the shell, but your average corn tortilla isnt going to win any awards as a fitness food. A single corn tortilla has around 52 calories, less than a gram of fat, 1.4 grams of protein, 1.5 grams of fiber and around 11 grams of carbohydrates. Not bad, but not great either. Think flour tortillas are a better choice? In a competition between these two options, clearly the corn tortilla wins out. But its still not a nutritional powerhouse. Before you give up on Mexican food, lets discuss one of the best-kept secrets out there: La Tortilla Factorys Low Carb Tortillas. Sit down for this one, because what Im about to tell you is going to change your mind about Mexican food as part of a fit diet. Okay, on the calorie front they are on par with the corn tortillas, but higher in sodium. But they have almost half the sodium of the flour tortilla. 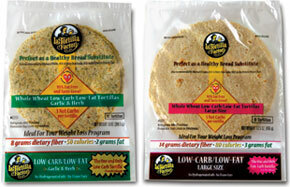 Where the La Tortilla Factory Low-Carb tortillas really shine, however, is in their fiber and protein content. In terms of fiber, they have a whopping 8.0 grams which is 32% of the recommended daily allowance of fiber. The also have 5 grams of protein, which hands-down beats both the traditional flour and corn tortilla. The combination of high-fiber with high-protein (ounce-for-ounce) means that the La Tortilla Factory tortillas are not only filling, but they keep your blood sugar levels stable. This staves off hunger and discourages overeating later in the day. And at 50 calories a tortilla, you can eat three of them and get nearly two-thirds of your daily fiber without sweating the calories. For some perspective, two slices of 100% whole wheat bread would put you at around 200 calories (they are around 100 calories a slice), without nearly the amount of fiber or protein in three La Tortilla Factory tortillas. Of course, the ultimate test is how do they taste? Let me put it this way if they were a public company, I should own some stock. I easily go through two packages of these tortillas a week. I dont just use them for tacos and burritos, but also as wraps for tuna salad, sandwiches, PB&J (yes, thatcan be a health food if you know how to make it), quesadillas, and even flatbread pizzas. In other words, this isnt the last time youll hear me talk about them. They are simply that good. So what do you fill them with? This week Ill be helping you build a better (and healthier) burrito and taco, one fit ingredient at a time. I guess this is just a commercial for La Tortilla Factory, and not a sincere appraisal of various competing products. I say that because you did mention Missions tortillas, but didnt mention their amazing low-carb tortillas. They come in a variety of types, but the ones I eat are Whole Wheat, and have 4 grams of carbohydrate per serving (and tons of fiber). I also love the La Tortilla factorys stuff, but I think the Mission product is superior, I know its cheaper, and its available in more stores. I dont understand why you didnt use a La tortilla example for your high carb example. Seems like a petty way of differentiating brands. 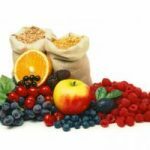 I have a regular, healthy food of the day feature that I run on Answer Fitness, where I highlight healthy food products that I have tried myself and liked. I happen to prefer the La Tortilla products for a number of reasons, which I outlined in my review. Others may like Mission. I am familiar with Mission\s product, including the whole wheat Carb Balance tortilla. Nutritionally, the two products are very similar (although the serving size for the La Tortilla Low Carb Tortillas is slightly more 36 grams versus 28.) The 6 Mission tortillas have 80 calories, 2 grams of fat, 12 grams of carbohydrates, 8 grams of fiber, and 3 grams of protein. The La Tortilla Factory tortillas are higher in protein and lower in net carbohydrates and calories than the Mission tortillas, despite having a larger serving size. My biggest beef with the Mission low-carb products are their inclusion of the artificial sweetener Sucralose. This isnt really necessary, but for some reason a lot of low-carb breads and wraps seem to include it. I generally recommend staying away from artificial sweeteners. 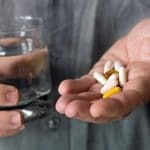 There are just too many unanswered questions around their long-term health effects. The Mission products also contain hydrogenated soy bean oil, which is a source of trans fats, although they are below the USDA threashold that requires listing them on the nutritional label. I compared the La Tortilla Factory low-carb tortillas to the non-low carb Mission flour tortilla only to demonstrate the nutritional difference between a healthy, low-carb tortilla and the regular, widely-available flour tortilla. I could have chosen any brand of regular flour tortilla for this comparison. I happened to choose Mission because it is popular. La Tortilla Factory does not make a product that is comparable to a regular flour tortilla all of their products have a healthy bent to them (low-fat, Heart Healthy, etc.) Even their SoftWraps or Organic Flour wraps beat the plain Mission flour tortilla (and nearly any regular flour tortilla) hands-down in the nutrition department. Youre quite passionate about this, Diedre. Is there any chance you work for Mission? We use the La Tortilla Factory low carb tortillas but Ive been struggling with making quesadillas and breakfast tacos without having the tortillas taste funny or get too tough. Any suggestions for cooking with them? Hi Kathy, are you microwaving them or cooking them in a pan to heat them? Microwaves usually do strange things to any bread product like making them chewy or tough. I typically just warm them quickly in a cast-iron on non-stick pan and they seem to come out quite well. my one complaint with la tortilla is that their nutritional information doesnt add up. assuming 4kcals/g for pro and carbs, 9 for fat, the tortillas should have 82 cals each, not 50. i realize they subtract the fiber, but the research isnt entirely conclusive on that matter, and even scientists believe fiber should be worth 1-2kcals/g, not 0. The USDA allows food manufacturers a margin of error when reporting nutritional information and some studies have found that the nutritional info on foods can be inaccurate up to 20%. In the case of the LA Tortilla Factory low-carb tortillas, I like them because they are very high in fiber and protein compared to other comparable products but you are right that they probably are using the high fiber content to present lower-calories, which are attractive to people who are watching their daily calorie intake. Thanks for the great observation and I hope youll stop by again! Just a quick recipe for the LaTortilla High Fiber low carb tortilla, spread lightly with peanut butter, add a whole small banana, a bit of raspberry or strawberry jam, roll and eat. A great breakfast or lunch treat. Hope we can find these in West Phoenix area, just came from WI where I could get them at Marketplace. Any help locating store for them would be appreciated. I am a life long low carb eater. I have tried numerous brands of bread substitutes and have found the carb balance tortillas by mission to be the best simply because there is no soy taste. Tofuyan, Mama Lupe, Tortilla Factory,Flat Out are all okay, but that soy taste, I just dont like it. Try the Mission brand, you will be pleasantly surprised. I think La Tortilla Factorys low carb tortillas are nasty. Most low carb wraps have a funky taste and odor. Theirs is the worst. i tried the low carb tortilla for the first time today. i was skeptical at first because people said that it has an after taste. i cooked a chicken burito with onions, tomatoes, and green peppers.